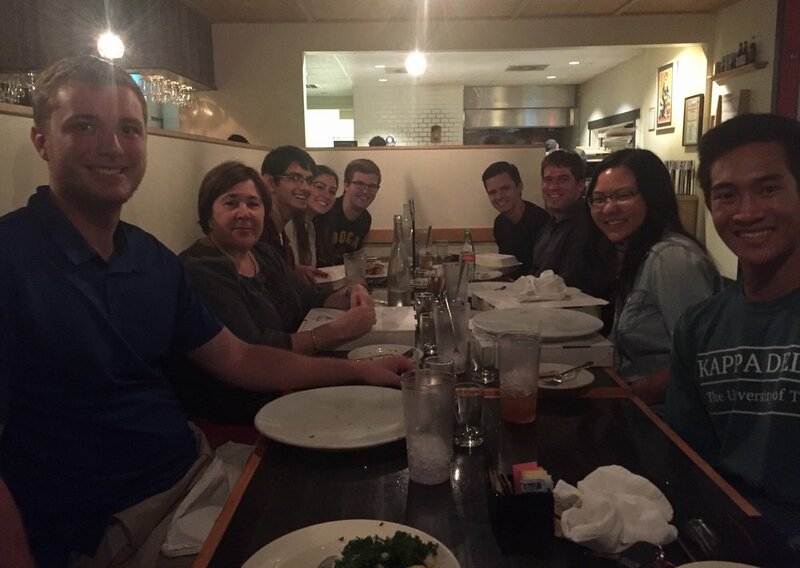 In honor of the last STA309H class, BHP sophomores had a last supper of sorts with Professor Greenberg and Professor Lukoff at House Pizzeria. Before closing off all communication and studying this weekend for the upcoming statistics exam, students stuffed their faces with pizza and attempted to stuff their brains with knowledge from the statistics professors. Luckily, conversations quickly moved away from hypothesis tests and confidence intervals to the best grocery stores and barbecue spots. Bad lighting, good pizza, and fun conversations made for a great time. We are 99% confident that the true mean value of fun lied between very fun and very very fun! We can only hope that the exam is just as fun.